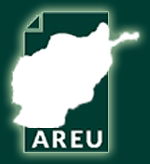 This study is one of three case studies funded by the World Bank and conducted in March – April 2004 under the Political Economy and Markets Programme of the Afghanistan Research and Evaluation Unit (AREU). 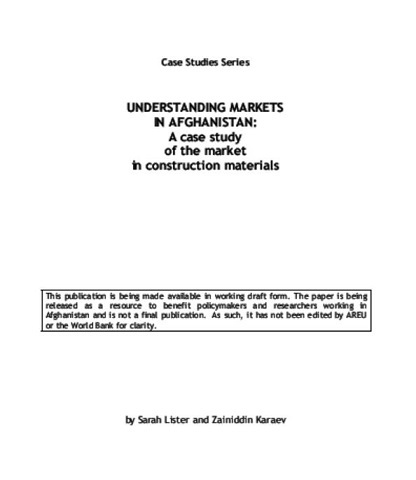 The case studies cover three activities important to the Afghan economy: raisins, carpets, and construction materials. The aim of the studies is to enhance understanding of the role of markets in affecting the prospects for growth, and the distribution of the benefits of growth, in Afghanistan. They explore the structures and functioning of markets in Afghanistan and thereby assist in the formulation of government policies aimed at enhancing broad-based growth and poverty reduction in a market environment. The studies are designed to stand alone, but should be read together to gain a fuller picture of markets and the political economy of Afghanistan. A short synthesis paper provides information and discussion relevant to all three studies, as well as preliminary analysis of the salient points emerging from the three studies.